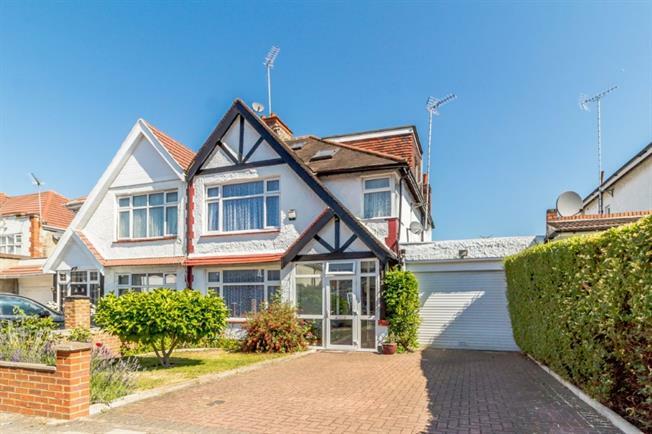 4 Bedroom Semi Detached House For Sale in Wembley for Asking Price £750,000. Bairstow Eves is delighted to offer this impressive 4-bedroom semi-detached family home presented in excellent condition and comprising four well-proportioned bedrooms, one en-suite shower room, well equipped kitchen, dining room, Reception room, private garden, private garage and large front drive. The house is ideal for a growing family and offers further potential to extend STPP. Call us today to arrange a viewing!